In the recent QS Subject Rankings, UJ, for the first time, achieved five rankings in the elite top 200 universities, for English Language and Literature, Geography, Education, Law, and Politics and International Studies. For this third edition of the QS World University Rankings by Subject, 30 subject areas at each of the 3 002 universities were evaluated, with only 689 institutions ranked in total. The QS World University Rankings by Subject evaluates universities at a more granular level, looking at excellence in teaching and learning of subject areas. Given the fact that this is the first time UJ is evaluated at the level of subject areas, this achievement is exceptional and affirms the international stature of UJ’s offerings in these and other subject areas. From a global point of view, it is remarkable that in Politics and International Studies, UJ sits in the same space with such elite universities as Nanyang Technological University. In Law, UJ sits in the same bracket as Harvard University. With regards to the subject of Education, UJ rubs shoulders with the likes of Stanford University. In English Language and Literature, UJ is ranked in the league of Cambridge University, while with Geography; UJ sits alongside such universities as the University of Oxford. Viewed from a national perspective, UJ is one of seven South African universities with subject areas featured among the world’s top 200. UJ’s Politics and International Studies has done exceptionally well, coming in at number three, behind the University of Cape Town (UCT) and Stellenbosch University respectively. Meanwhile, Law was ranked at number four, behind UCT in first, University of Pretoria (UP) in second and University of the Witwatersrand (Wits) in third. Education came fifth behind UCT, UP, Stellenbosch and Wits respectively. English Language and Literature subject is ranked sixth behind UCT, Rhodes University, Wits, Stellenbosch and UP, respectively; and Geography also ranked sixth behind UCT, Wits, Stellenbosch, UP and University of KwaZulu-Natal, respectively. UJ also had several other subjects that fell short of the top 200 rankings by a small margin. Subjects such as Sociology, History, Philosophy and Civil Engineering, are being provided with the necessary support to ensure that performance and overall reputation improves so that these too will soon break through into the top 200. 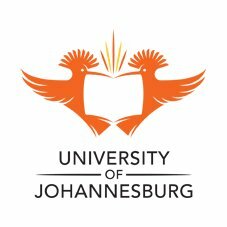 As a young institution, celebrating its ninth year in 2014, these rankings are testament to the effectiveness of the UJ comprehensive strategy for excellence in teaching and learning as well as in research. “The Faculty of Humanities is tremendously proud of the outstanding achievements of the two departments, English and Political Studies, and in particular of the dedicated work of the NRF-rated researchers in the two departments. This recognition of the research conducted in our Faculty follows on the announcement at the end of last year that the Faculty appears among the top performing faculties globally the 2013 QS World Universities Ranking list,” says said Prof Ronél Johl, acting Executive Dean of the Faculty of Humanities. The clear message of the QS subject rankings is that any student from anywhere across the globe, who wants to enrol for the best possible offerings in English Language and Literature, Geography, Education, Law, and Politics & International Studies, should, without hesitation, come to UJ.